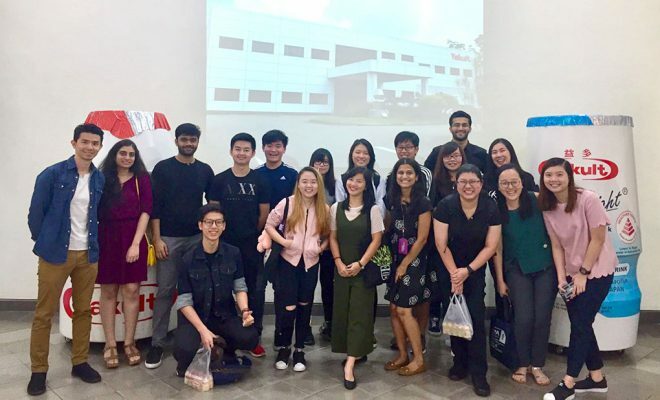 An industrial visit to the Yakult Factory was organised by MDIS Business Club (MBC), and supported by MDIS Business School (MBS) on 5 October 2017. 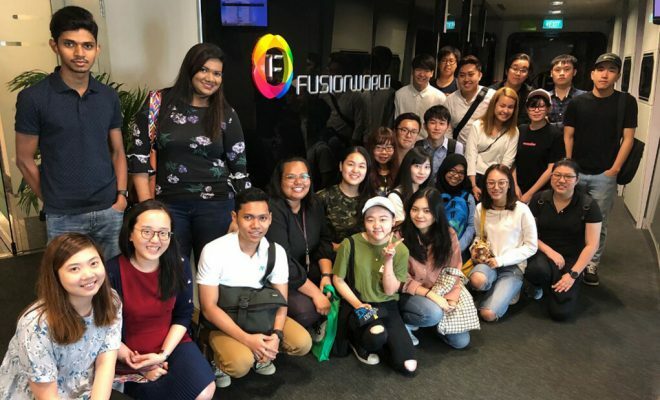 This was an educational visit for students to have an overview of the production, packaging process and the distribution channel of the fast moving consumer product. The friendly well-trained staff from Yakult gave a presentation on the history and background of the company, and its products. Yakult was first introduced to Singaporeans in 1979. 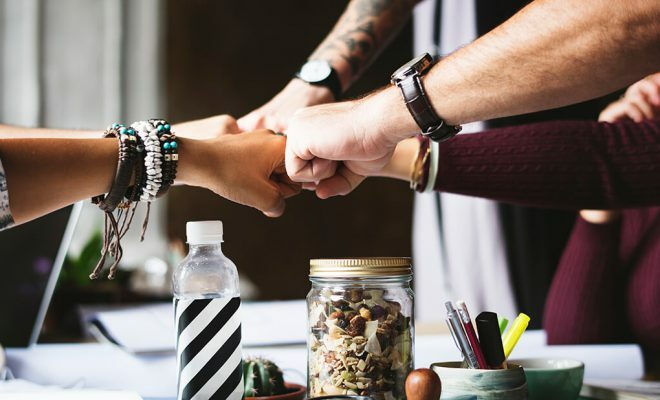 It was Japan’s poor socio-economic condition in the 1930s that caused children to suffer from malnutrition which led to infectious diseases and other illnesses which made the founder of Yakult, Dr Shirota research on preventive medicine and the study of microorganisms. 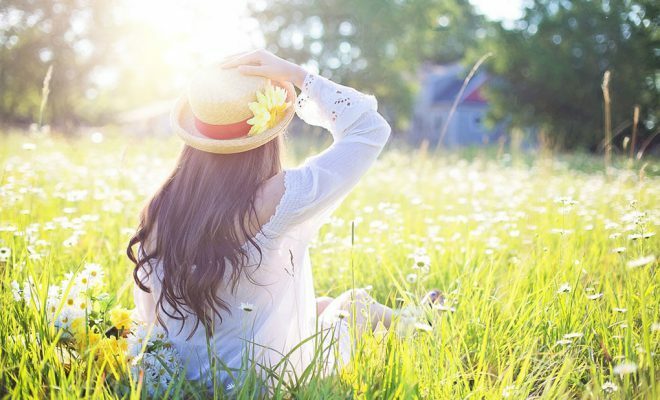 He discovered that lactobacilli was beneficial in suppressing harmful bacteria in the human intestines and promoted good intestinal health. This unique probiotic strain was later named Lactobacillus casei strain Shirota in his honour. A video of the scientific documentary on thebenefits of probiotics was played,followed by a tour to view their high-tech production process through the glass-walled viewing gallery.Along the tour, the Yakult staff shared information on the production processes. Other than finding Yakult in our local supermarkets and convenient stores, the unique distribution channel was their Yakult Ladies where they provide door to door delivery evenif the purchase was for only one packet of Yakult. Yakult Ladies are very effective as they can better reach out and communicate with their customers in spite of the digital marketing era. 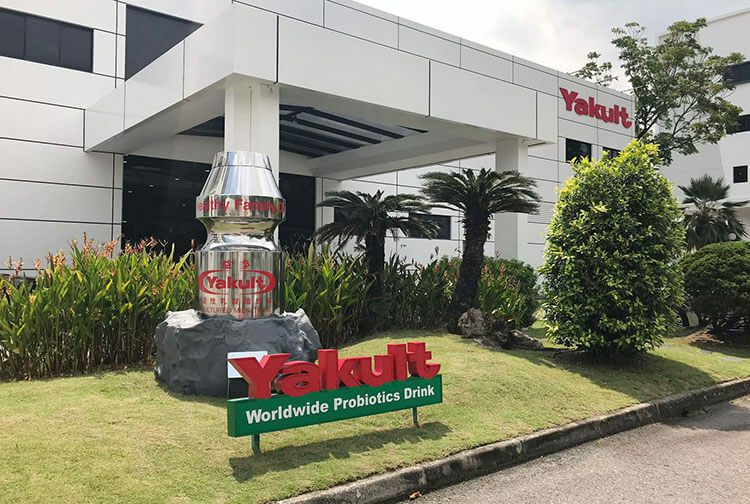 Some interesting facts that we had learned during the tour was that Singapore is the only country that Yakult produces 4 flavours whereas the other countries only produce the original flavour. The Yakult bottles are also bigger in Singapore, Hong Kong, China and Taiwan as compared to other countries. It was an eye-opening visit for students as they got good understanding of how Yakult was produced. 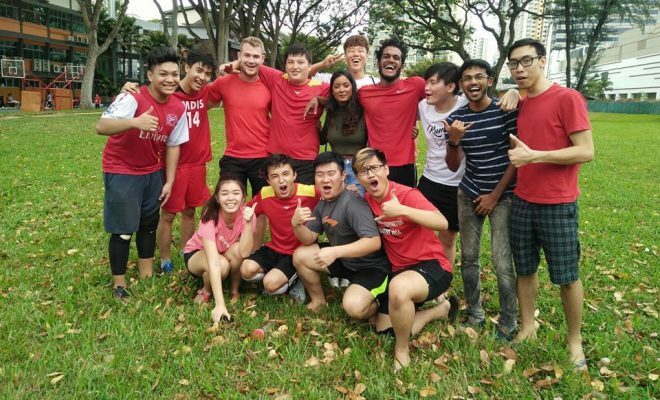 The students enjoyed the visit and found it insightful and enriching.